Resolved! Sort out Screen Time. It’s that time of year again – New Year’s Resolution time. 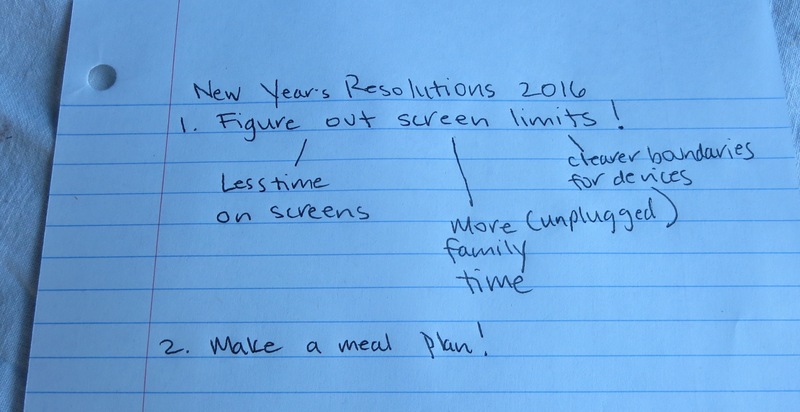 It seems like there is a common theme to many resolutions I’m hearing and reading about; getting in control of screen time – for ourselves and our families. Many people these days feel that their screens take up too much space: in their days, in their homes and in their lives. As a way to support parents in addressing this difficult and overwhelming issue, I have created a three-week class called ‘Sorting Out Screen Time’. This class will be a supportive, energizing and fun place to figure out how you want screens to feature in your family and, then, how to get to that place. Through a combination of “lecture” (me presenting information), small group work, lively discussion, interactive activities and (no-pressure) art exercises, you will clarify your values and connect more deeply with your hopes and dreams for your family. What could be a better way to start a new year? The class will meet for three-weeks on Tuesday evenings from 7-9pm. The first two classes will be on consecutive weeks and the third will be two weeks later (to allow time to implement your plan and to see what works and what doesn’t). Tuesday January 12th, January 19th and February 2nd. Class will meet in the meeting room at Tea Chai Te (the red caboose!) in Sellwood. Cost: Eight hours of class time, plus all materials: $110.